Have you ever noticed your patrons taking selfies in your library? Of course you have! Most likely many of those selfies will end up on some sort of social media site like Instagram or Snap Chat. 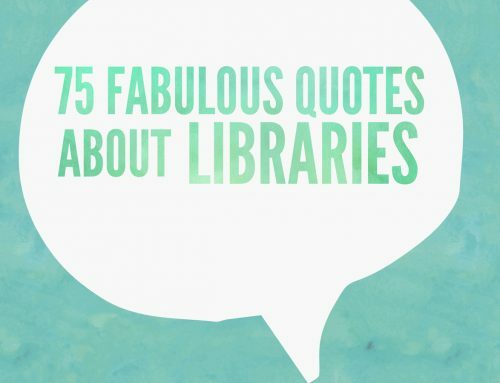 Is your library taking advantage of Instagram? Do you give your patrons a reason to post (and promote your library) to Instagram while they are inside your library? You know you can’t beat free advertisement, right? In May 2017, reports stated that Instagram has over 700 Million active users each month. Have you ever noticed people scrolling through their phones anytime they have an extra second of downtime? The younger generation scrolls through Instagram faster than I scrolled through Encyclopedia Britannica in 1986. Utilizing this social media tool is a powerful way to connect with your patrons, promote your programs and special events and let them see your library remains very relevant in their world. Using Instagram for your library may sound appealing to you, but maybe you don’t know what content to share? Here are nine ideas that will help you connect better with your audience. First of all, you have to know the culture of Instagram. It’s all about storytelling through pictures. Use it as visual content that allows your patrons to discover what your library is all about. Give patrons an inviting glance into the spaces they have access to. Movies and television rarely present an honest image of libraries, so let your community see into the space they have at their disposal. 2) Provide A Sneak Peak. Whether it’s access to the latest release, new resource, new program or an upcoming event, share a sneak peak to create a buzz or generate some curiosity. This is an incredible way to show your library has something new and fresh. 3) Show Off Your Books. You’re a library – you have books! Show them off! You get bonus points for sharing them in creative ways. Remember, the culture of Instagram is beautiful and creative photography! Get creative! 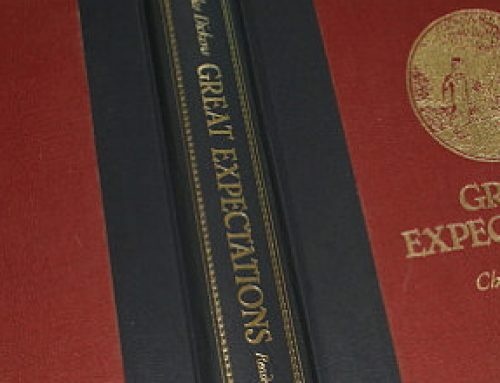 The example below shows how The Nashville Public Library creatively used book titles to get into the city wide excitement surrounding hockey games leading to the Stanley Cup Playoffs. 4) Repost Your Patrons Post. This is a perfect way to engage your patrons and allow them to feel a part of your community. 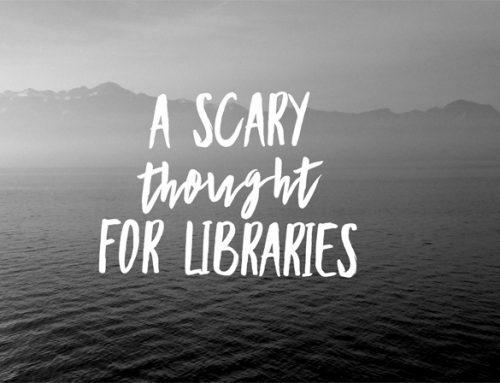 When patrons tag your library or you see posts from within your library, repost some of their Instagram content. The bond and loyalty you build when sharing your advocates post will run deep! 5) Let Your Staff Shine. Highlight your staff and their awesomeness! Feature your staff doing what they do best, allowing your customers to see who they interact with when they come into your library. There’s more to what you offer than most people realize. While Instagram is a place for sharing photographs, your library can still share and promote the services offered to your community. Arlington Heights Public Library does a fantastic job of letting their community know they can check out bike locks and umbrellas. Who knew?? 7) Go Behind The Scenes. It’s social media, so let them know what your world is all about! Let them see the ins and outs of your day, what you do and what it takes to run the amazing space that is your library. Instagram Stories is a Snap Chat like feature that allows you to share short videos and photographs that display only for 24 hours. After that, the content goes away. This is a HOT feature with Instagram right now and will keep you in front of your patrons in a new and fresh way. Instagram Live will add a deeper dimension, though different from Instagram Stories. If your library already takes advantage of Facebook Live, Instagram Live is a natural audience addition to what you’re already doing. Instagram allows your library to share short video clips with your followers. Take advantage of this by posting videos of events, authors, new displays, current events or new features in your library you wish to share. Use special days to create content. Hardly a day goes by that it’s not “National so-and-so Day” so play off of the popular days, use holidays and major events. Taco Tuesday, Mother’s Day, popular movie releases. These type of posts remind your audience that you remain relevant to their world. In order for your library’s Instagram post to be effective, you must have followers. If you have an Instgram account for your library, building your audience should also be a priority. You have to begin with your patron in mind. Your account may feature your library, but the content is all about them! 1. Let Your Library Patrons Know You Have Instagram. It may seem obvious, but you have to let your patrons know that you have Instagram. Don’t just say “Follow Us On Instagram” but rather give them a reason to connect with you on Instagram. 2. Have A Photography Challenge. Instagram revolves around photography. Maybe you can host a photography class, have a photography contest or even host a photo challenge. I love this photography contest hosted by the Orange County Public Library in Florida. It involved the community, the library, local activities and a hashtag unique to the challenge. Bloggers have a great influence and you can utilize bloggers by inviting them to your library and allowing them to feature your library in one of their blog posts. Utilize fashion bloggers, lifestyle bloggers, and even local food bloggers. Trust me, they need quality content and love the exposure your library can provide. 4. 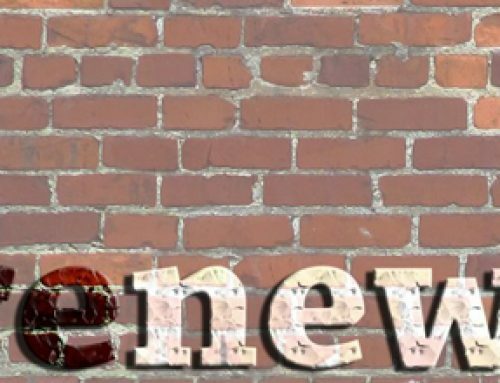 Feature Your Instagram In Your Newsletter. Whether it’s a newsletter, email, Facebook Page, library blog or your website, consistently invite your patrons to visit your Instagram. For that matter, Instagram ads are available to advertise to a very specific geo-location. You want to get your Instagram account in front of your customers in places where they are. 5. Create A Library Landmark. Have you ever noticed people who go to Chicago always post a picture of “The Bean” or when travelers go to Nashville they post a picture in front of the “We Are Nashville” sign? In Vegas it’s the “Welcome To Vegas” sign and in Paris it’s under the lights of the Eiffel Tower. When you go to Disney World, a picture in front of Cinderella’s Castle will take place. There’s even an Instagram sensation of “The Purple wall” at Disney World that has gone viral – all because of Instagram! Can you and your staff come up with something in your library that would cause your patrons to post a selfie and utilize a specific hashtag within your library? I bet you can! Think of the way special events, weddings and restaurants utilize hashtags on Instagram. Your library can use the same strategies to promote your library’s Instagram account. Take advantage of utilizing local events and local hashtags being utilized in your area on relevant posts. When events are taking place in your community, promote them and use their hashtag. This will often get your content reposted and seen by more people. It’s all about exposure and being where your audience are online. As you build your community of followers, remember that it’s not about pushing information to your patrons, Instagram allows you to connect with them and build a stronger and deeper relationship. When followers comment on your posts, comment back. As people use your hashtags, comment on their post and repost their content. When posts come from inside your library, follow those accounts and connect with those patrons – they will turn into your tribe and your biggest influencers! Don’t just have an Instagram account that is irrelevant, but allow it to connect, resonate with and become a part of your community. Relationships are powerful influences. They say a picture paints a thousand words so let the photography you share on Instagram speak volumes of how important your library and its patrons are in your community. When your patrons are deeply connected to your library, your library will become more and more relevant in their world. Your followers will become champions and advocates for you. 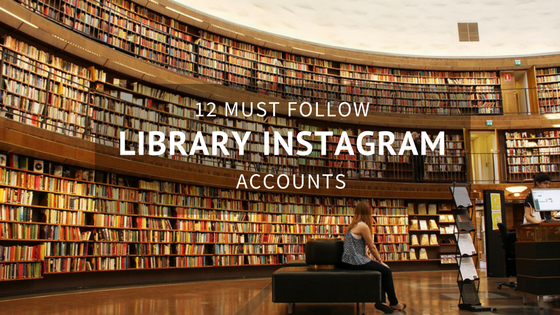 As you look for examples of how to grow your Instagram, library content to post and creative ways to stand out, here are several library Instagram accounts to follow. Thank you, @andrewk106 for sharing. #librarydolphin is our new favorite hashtag. ・・・ ##Repost @andrewk106 with @repostapp ・・・ #dolphinsonparade #library dolphin spotted near the Atlanta Public Library Central Branch. All City Libraries will close early tomorrow (December 24) at 1pm and will remain closed December 25–26 for Christmas. Happy holidays, everyone! For #internationalwomensday we’d like to introduce you to our fearless (and strong!) City Librarian, Michelle Jeske. She keeps us moving forward and makes Denver a better place to live, work, play and read! 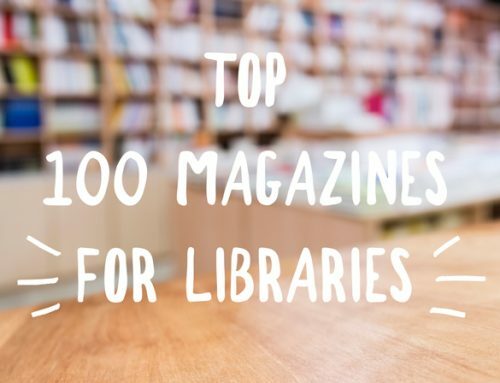 So there you have it, 12 public library Instagram accounts to follow that will help you come up with creative content, grow your followers and deepen your relationships in your community! Feel free to share your library’s Instagram account with us! Great article ! Lots of ideas !